The Musée Héritage Museum recently installed a new photo exhibition at Red Willow Place in downtown St. Albert. 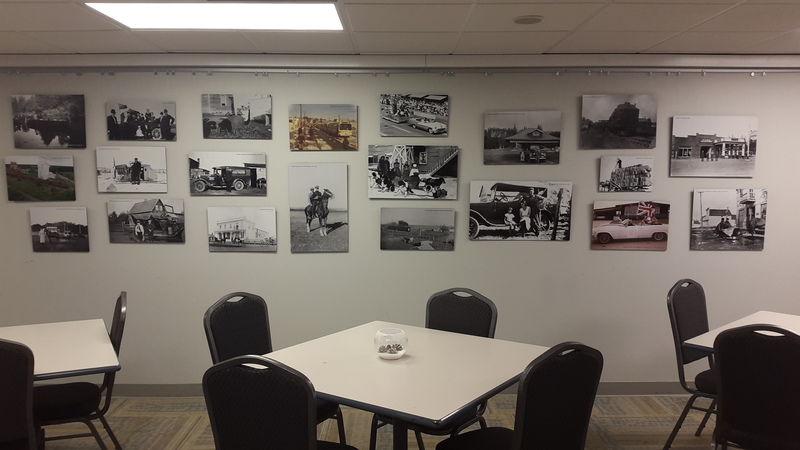 Working with Red Willow Place the museum has installed a series of different themed photo exhibits over the last a year, and this last one in the series looks at transportation in St. Albert. Beyond typical forms of road transportation, you will also see photos of buggies, sleds (pulled by various animals), souped up snowmobiles, boats, trains, and horses. Please be sure to check out this exhibit if you are in Red Willow Place, which will be on display until the middle of 2019. For more information about the photographs in our archives, please contact us at archives@artsandheritage.ca, or phone at 780-459-1528.